Examination tables need to be accessible for all patients. The examination tables in your medical practice are at the centre of the health care services you offer to your patients, and when looking to purchase one, it’s important to consider particular features that will suit the way you run your practice. 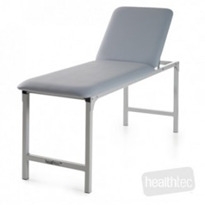 Not every patient will have the same requirements in an examination table, making flexibility a key factor. Tables that can adjust in size offer a substantial benefit to meet the needs of each patient, regardless of height and weight. 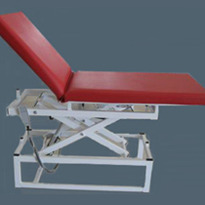 Additionally, some reclining tables allow for both seated and prone positions for various types of examinations. Making sure that your examination tables are accessible for all patients, including those in a wheelchair, is essential. 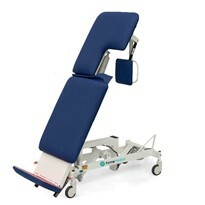 A height-adjustable examination table, which can extend in height when the patient is positioned on it prior to the exam, can help greatly in this regard. Every medical practice is different and each has a different amount of space available. 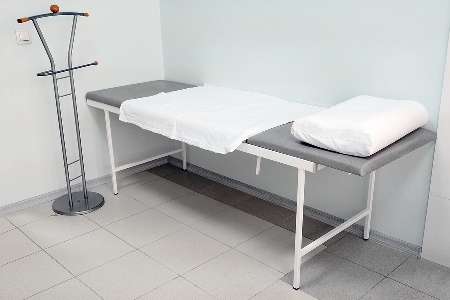 While space is not an issue for some clinics, others need to consider how much area the examination table will take up. Higher tables that are unable to be lowered may also require accessories, such as a stepping stool to reach the table. If available space is a concern, a table that can adjust in size – both height and length – may be a suitable option. 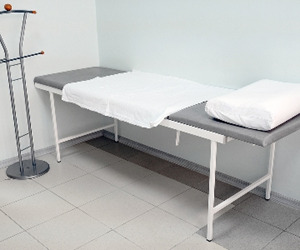 If your medical practice is relatively compact, an examination table that offers space for storage can be a useful benefit. Added storage helps to free up space in the rest of the room and gives access to examination materials right where you need them. 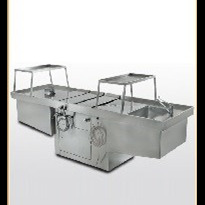 Push-through drawers also allow practitioners to access the materials inside the examination table from both sides of the table. Hygiene is paramount in a medical setting and an examination table that can be cleaned easily improves hygiene standards and saves time. A laminate base is a good start for a table to be easy to clean, as it is a hard, smooth surface. Some tables are also equipped with certain features to enhance hygiene, such as an antibacterial paint or a microbial guard. 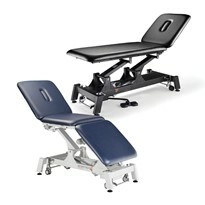 Each examination table has its own specific benefits and features on offer; you just need to consider which ones are most important for your practice. If your focus is on elderly patients or aged care, a table with armrests and lower treatment heights may be beneficial. Other features, such as fold-out pads, pans or stirrups, might be more useful according to what type of examinations you need to do. 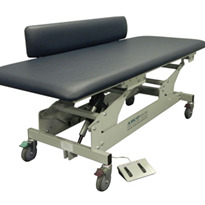 Your choice of examination table depends on the particular needs of your medical practice. 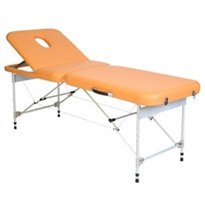 It's important to look out for the right characteristics to meet your requirements in order to buy the optimal examination table. Make sure you HI LOW BEDS has a good warranty cover. 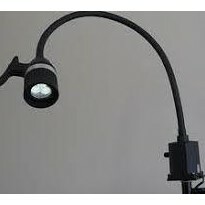 Check where the product has been made and who would fix it if it breaks down. Many people buy cheap beds, but then when it breaks down, it is very hard to get someone to fix it. Some beds are made in china so getting parts for them can be a problem. Plus they can also use a cheap vinyl which wears badly and starts to pill.